Sorry, for my english. The game crashes when loading level, and when changing the level. And it does not save progress. Throws an error SMW.exe. This problem just me? How to fix it ? Have you tried running the game in 32bit mode? 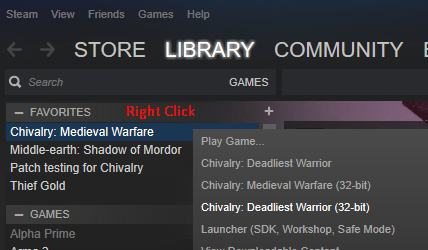 Right Click on Chivalry from your Steam Library list.